Tools derived from the Fibonacci number sequence are among the most effective in the field of Forex technical analysis. This is unsurprising, as they can show key inflection points where price is likely to reverse. Forex Fibonacci levels are widely used by retail Forex traders as well as by the traders at major banks and hedge funds. 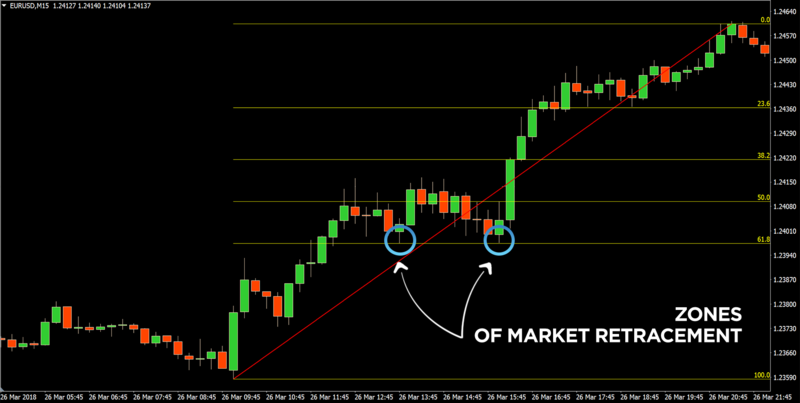 The article represents how to use Forex Fibonacci retracements in your trading. We’ll explore the origins of the numbers and show how to apply Forex Fibonacci levels on your charts. Born in Pisa around 1170, Leonardo Pisano is better known by his nickname Fibonacci. He was educated in North Africa, travelled widely and studied different numerical systems and methods of calculation. At the time the Roman numeral system was most popular, but Fibonacci recognised the enormous advantages of the mathematical systems used in the countries he visited. He started working on the new system and presented it in his famous book ‘Liber Abaci’ in 1202. He introduced the modus Indorum (method of the Indians), today known as the Hindu–Arabic numeral system. It made a profound impact on European thought because making arithmetical operations with Arabic numerals was far quicker and more efficient than the old Roman system. The book was widely copied and drew the attention of the Holy Roman emperor Frederick II, who granted a salary to Fibonacci in recognition for the services he had given. The book comprises three sections, the first covering numbering from 0 to 9, as well as positional notation. He showed the practical use of the numeral system by applying it to commercial book-keeping, interest calculation, money changing and similar topics. The second section deals with a range of issues faced by merchants such as goods pricing, profit calculation and currency conversion. The author is mostly famous for the Fibonacci numbers and the Fibonacci sequence, which are introduced in the third section. The Fibonacci sequence is a series of numbers where each number is equivalent to the sum of the two numbers previous to it. 0, 1, 1, 2, 3, 5, 8, 13, 21, 34, 55, 89, 144… and on to infinity. This sequence ties directly into the ‘golden ratio’, because if you take any two successive Fibonacci numbers, their ratio is very close to 1.618. Hence this figure 1.618 is called ‘phi’ or the golden ratio. The golden ratio appears frequently in nature, architecture, fine art, biology and even the financial Forex markets. Examples of where the golden ratio occurs include the Great Pyramid of Giza, Leonardo da Vinci's Mona Lisa, nautilus seashells, spiral galaxies, sunflowers, tree branches, beehives and human faces. You will see the 61.8%, 38.2%, 23.6% Forex Fibonacci levels being used most commonly in the financial markets. These numbers are not directly from the sequence, they are derived from mathematical relationships between numbers in the sequence. The basis of the 61.8% ratio comes from dividing a number in the Fibonacci series by the number that follows it. For example: 34/55 = 0.6181. The 38.2% ratio is derived from dividing a number in the Fibonacci series by the number two places to the right. For example: 34/89 = 0.3820. The 23.6% ratio is derived from dividing a number in the Fibonacci series by the number three places to the right. For example: 34/144 = 0.2361. 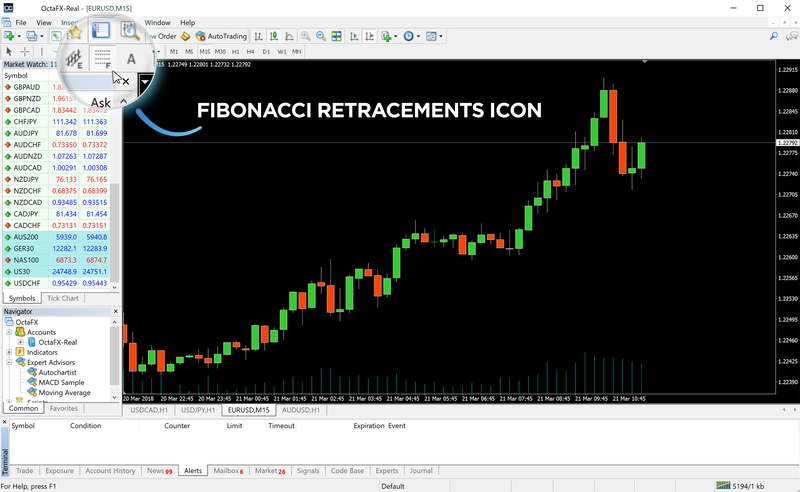 To draw Fibonacci retracements you need to click on the Fibonacci retracements icon in the toolbar in the top left of the screen. In the case of a down move, double click from the swing high (highest recent high) and drag to the swing low (lowest recent low). From there you will see the grid of 23.6%, 38.2%, 50% and 61.8% levels on the chart. These represent levels where price might find resistance - in other words where price might bounce and reverse lower. Forex Fibonacci retracement levels are depicted by using the high and low points on a chart and marking the key Fibonacci ratios of 23.6%, 38.2%, 61.8% horizontally in a grid. These horizontal lines represent potential reversal levels. Fibonacci retracements can determine where to place orders for market entry, for taking profits and for stop-loss orders. They can also pinpoint key levels of support and resistance. Usually retracements are calculated after the market has moved significantly either up or down, and seems to have flattened out at a particular price level. The most popular Fibonacci retracements levels are 61.8% and 38.2%. These are used by drawing horizontal lines across a chart at those price levels to define zones of market retracement, before resuming the general trend formed by the initial large price movement. Those can be very exponential when a market has reached a major price support or resistance level. The 50% retracement level is normally included in the grid of Fibonacci levels. It is not based on a Fibonacci number but it is widely recognized as an important inflection point. 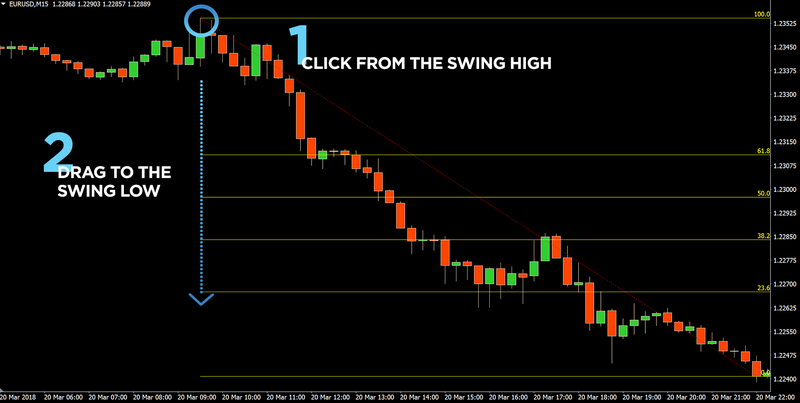 Forex Fibonacci retracements often form important support and resistance levels and can be very accurate. Experiment with Fibonacci retracement levels across different markets and time frames to find what works best for your Forex trading strategy. 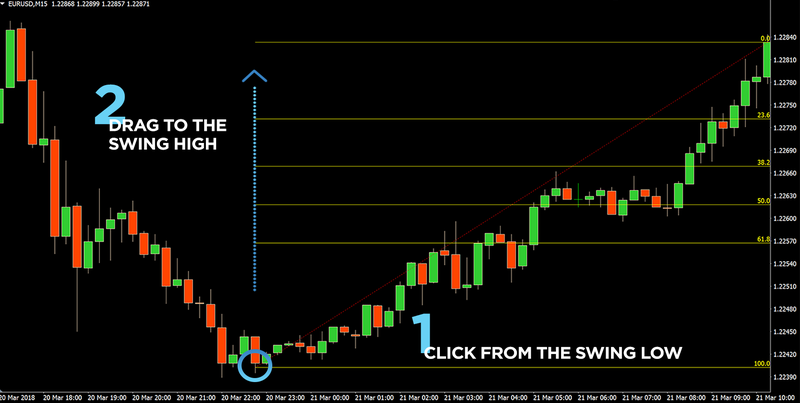 We have also prepared an article which covers more strategies you can use with forex Fibonacci Retracements. You will know how to combine Fibonacci Retracements with indicators, right time to enter the market and how to define a trend across multiple time frames. Please, follow the link to access it.